Our free library is full of fabulous gluten free resources! 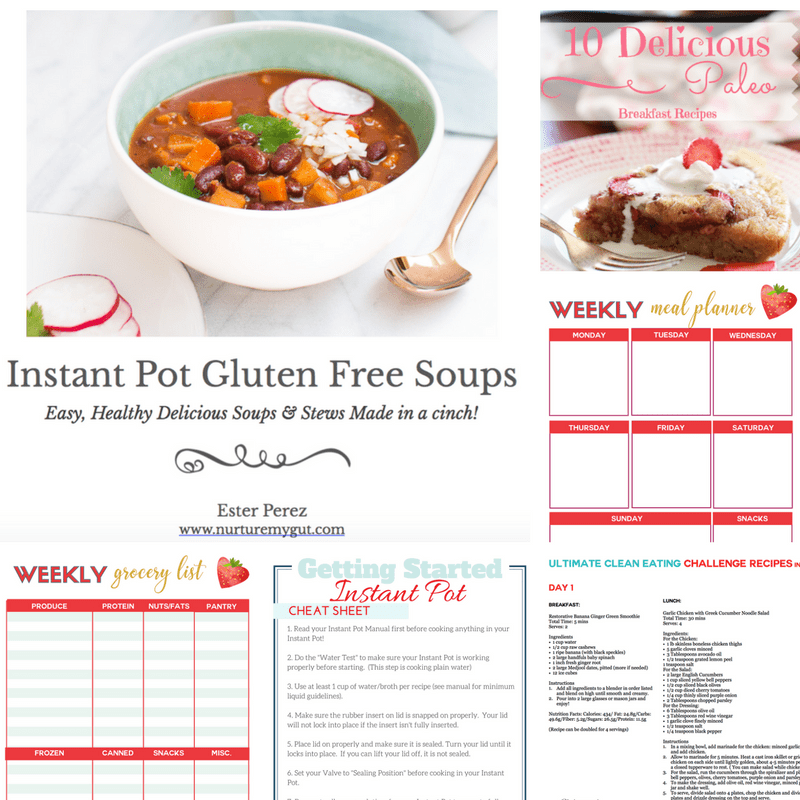 It includes gluten free ebooks, meal planning worksheets, cheat sheets, and other resources. These are designed to help you make delicious gluten free meals that are quick and healthy. This is a password protected library, only for our readers! If you already have the password, ​>>ACCESS LIBRARY HERE<<. If you need the password, just fill out the form below and follow the instructions after to get Instant Access!